Discovered in North Tanzania in 1967, tanzanite deposits run through the base of Mount Kilimanjaro, over 500 million years after it began to form. 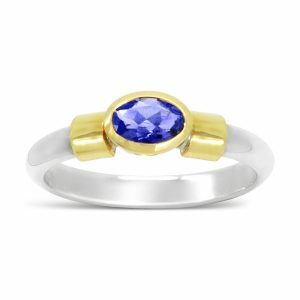 Tanzanite is the birthstone for December and the unique blue-purple tone that makes it famous, only comes from heat treating the original brown stone at low levels to transform it into the eye catching colour we have come to know it as. Found only in Tanzania, this type 1 gemstone can be easily manipulated by different lights giving the blue a hint of red and orange under sunlight, more sparkle by halogen lights, and it can look distinctly sapphire under fluorescent lights. Despite being a relatively soft stone, 6.5 on the MOH scale, it’s colours are perfect for the December birthstone and also representative of 24 years of marriage. When it comes to fine Tanzanite jewellery, one company automatically springs to mind Pruden and Smith.